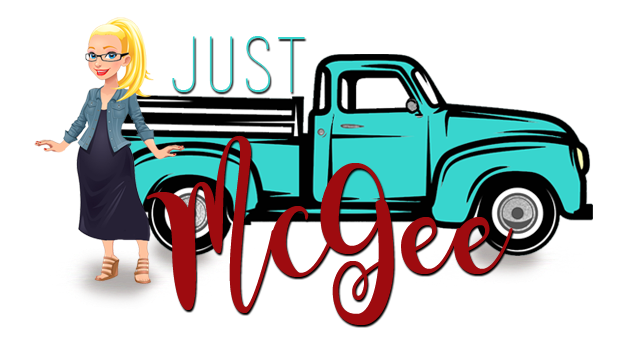 Just McGee: having it all. Being the daughter of a baby boomer. That I can have it all. I no longer think I can have it all. My generation of women watched our mom’s come out of the June Cleaver era, burn their bras and take on the Man’s World like their mothers couldn’t. They had the burden of paving the way for us to do whatever we wanted. They are an amazing generation of women! By the time I was a mom, I respected them but also respectfully declined the “be all you can be” way of life and preferred to aspire to being “just a mom”. And then life happens, as it usually does. I found myself at an unfamiliar place, desperately wanting it all. I went through college with two kids, graduated, started a business, bought a house, had a cool car, lost the house trying to save the business, downsized the car, lost the business and divorced. And throw in another baby somewhere over that space of time. Great job with ZocDoc.com where I’m working hard for my money. I am married to my favorite adult. Ever. Kids are happy, healthy and productive. But I don’t own a house, my house isn’t always perfect, my job keeps me too busy some days, the kids don’t have Suzie Homemaker 24/7 for a mom, I’m sometimes grumpy, I have a cool car but not my dream car, and occasionally (ok, often) you can find me lounging in sweats with my hair pulled back and not looking so hot and I live in LA but I have yet to attend a red carpet event. It’s ok that I don’t have it all. I could-I think-if I wanted to sacrifice all things important to me. If I wanted to totally relinquish the raising of my kids to someone else I could probably have made more money last year. If I wanted to spend less time with my favorite adult I could work a little longer. If I wanted to drive a better car I could max out my credit limit and live outside my means. Instead I choose to do my job as well as I can and enjoy what I’m doing. And then I choose to hurry home for softball games and family dinners. I want it all, I do. But I’m ok that I don’t have it all. Because what I do have is worth more. I have a man I adore, kids who are amazing, family that will always have my back, friends who love and support us all, laughter and fun...when I let myself. Perhaps it’s time to reevaluate what having it all really means. YES! You already have it all. Love and family and balance and priorities firmly in place. Time with your loved ones. Everything else is just the BS idea our culture tries to sell us. It's an illusion that will never bring happiness, even if you could achieve "having it all". Ahhhh...the illusion the world sells can be an appealing one and it's hard to not get caught in that trap fo keeping up with what we think everyone else is doing! This blog is the cheapest form of therapy I have-the more I write, the clearer life becomes! Thanks for the encouragement-glad you like it! We grew up with "Working Girl" and "The Secret of My Success" and a hundred other 80's movies that sold us this view. And you live in LA, so... yeah. "Instead of creatively realizing their freedoms, many choose the unreflective conformism dictated by television, indulgence in mass-consumerism, or numbing their feelings of alienation and anguish with drugs." Cheerful stuff, right? But that's what that road looks like. That's where the Joneses are going. I don't wanna keep up with them. You? I'd rather focus on the "creatively realizing" part. Maybe "it all" is different for each individual. Maybe "it all" is exactly how you get to define it.